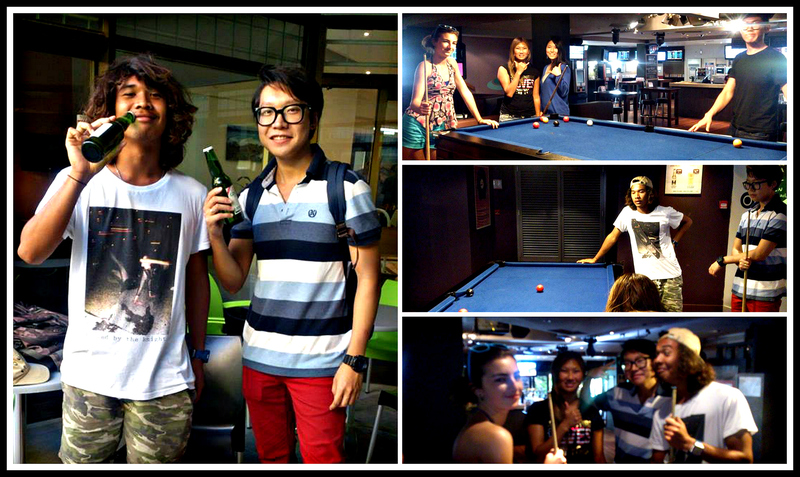 Yesterday the students gathered at The Reef Hotel for a Doubles Pool Tournament. The knock out tournament showcased some of the school pool table talent with Lorena and Akane Vs Lox and Hoony making their way to the finals. The two teams battled it out in the finals to win a cooler bag full of beers. Well done Loxy and Hoony for taking out the Double Pool Tournament Championships!